Your Projects Abroad experience doesn’t have to stop when you step off the plane and return home. As a former volunteer, you automatically become part of a community of nearly 100,000 people just like you: our Alumni Network. This network of former Projects Abroad volunteers allows you to keep in touch with everyone that you shared your experience with. You can also help encourage others to volunteer, and even pursue opportunities to work with us at home and abroad. You’ll automatically receive our quarterly alumni e-newsletter with updates on our projects and destinations as well as activities available for alumni. You can read more about the latest developments on our projects on our News page. Share your experience with friends, family, and those around you. Often your enthusiasm, advice, and support will be the deciding factor when they are making the decision to go abroad. Writing a Volunteer Story about your time overseas is a great way to sum up and reflect on your international volunteer experience. They are also one of the most valuable tools that we can offer potential volunteers. 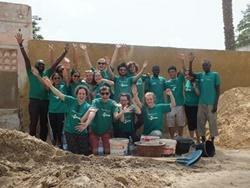 You can view Volunteer Stories from other alumni to get an idea of what we are looking for. 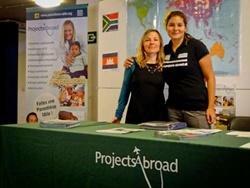 Please contact us on alumni@projects-abroad.ru before writing your story. There are many opportunities for our alumni to actively promote our projects. You can speak to potential volunteers at Information Evenings and Careers Fairs, write a newspaper article, hold a presentation, and more. We are always looking for former volunteers to work alongside our staff here in the UK and around the world. In fact, having staff members who are former volunteers makes a huge difference. It’s something that makes our volunteer projects special. To learn more, please visit our Jobs with Projects Abroad page. Email alumni@projects-abroad.ru and we will get back to you as soon as possible.